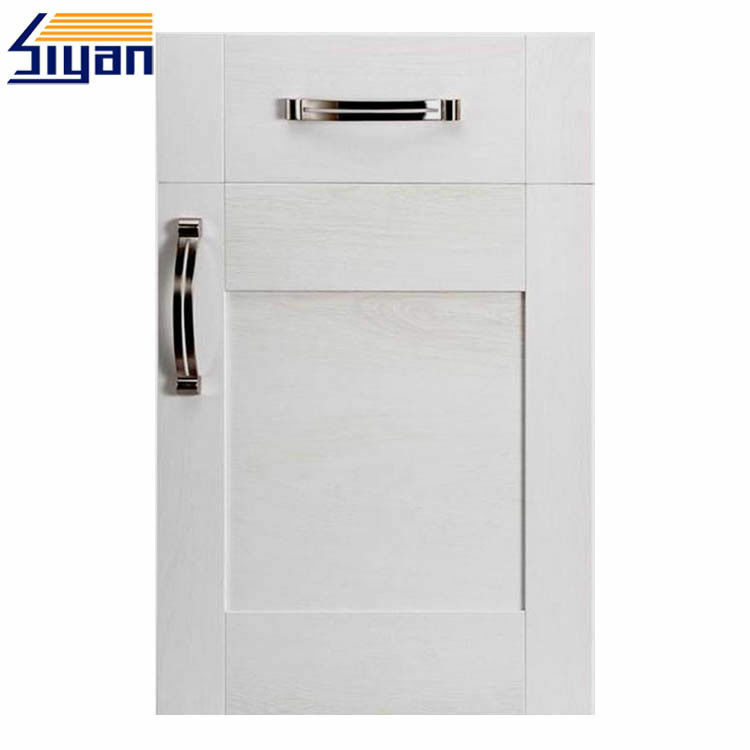 This kind of white shaker kitchen cabinet door is one of our hot sellers. If you have any interest in our cabinet doors. We'd like to send you a free sample for you to check its quality. We are one of the leading manufacturers at the east of China. We are specialized in producing shaker kitchen cabinet doors for more than 11 years. We have good after-sales service and technical support. We'll let you feel that doing business with us is very happy and easy. Look forward to your cooperation! Our shaker kitchen cabinet doors are pressed by PVC film and made of MDF. This design can make our mdf shaker cabinet doors look like the real wood cabinet doors. And it is not composed by five individual panels, it is just made of one piece of MDF panel. This kind of shaker kitchen cabinet doors are carved by CNC center and vacuum pressed by machine. A: It is used for kitchen cabinet, bathroom vanity, closet wardrobe, office cabinet and so on. A: Our MOQ is 200 square meters. Q: Who should pay for the express freight for the samples? A: The client should pay for the express freight for the samples. And we can offer small samples free. A: 1) If you need some sample to test, we can make as per your request .The sample cost can be refundable if order is confirmed and QTY goes up to 400pcs shaker kitchen cabinet door. A: For sample, we accept the payment sent by West Union,T/T; for orders, we can accept T/T or L/C at sight. Q: How much of our shaker kitchen cabinet doors? 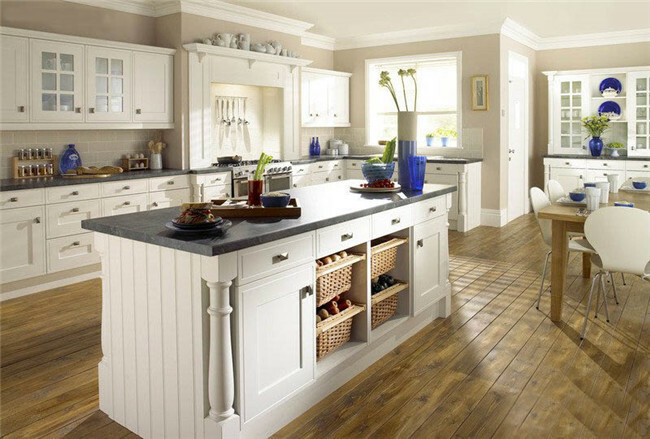 A: Its price is up to the shaker kitchen cabinet doors material, specification, package and other requirment. As a manufacture, surely we can provide you the most competitive price. We are an export-oriented company which has invested two factories working as manufacturing bases. 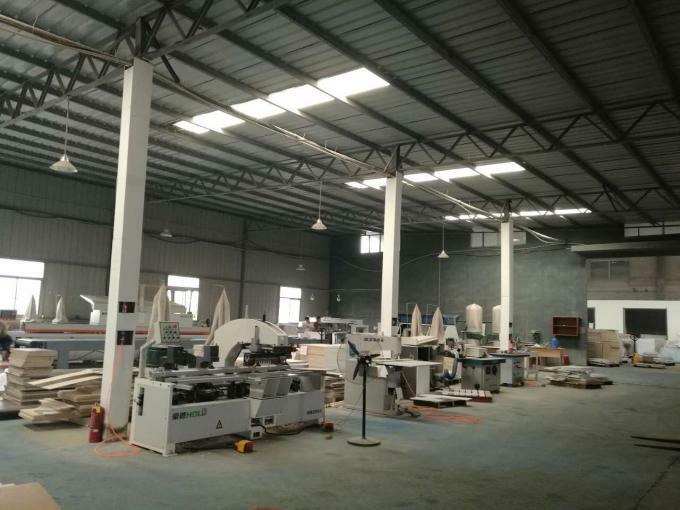 Our factory located in Nanjing, 300 kilometers away from Shanghai port, we operate on a 5,000 square meter modern manufacturing facility and offer a comprehensive range of furniture products. Over 80% of our products are shipped overseas with Germany as our main market.